How do I find my Part Numbers? To help you find your part numbers we have included many of the Kohler marine generator parts manuals under the "PDF Manuals" tab. Please take the time to read carefully the front section of the manual that describes how the manual works and how to use Specification numbers and Variation codes, it is important. If you already know your part number you can enter it in the search box to the left or on the home page. 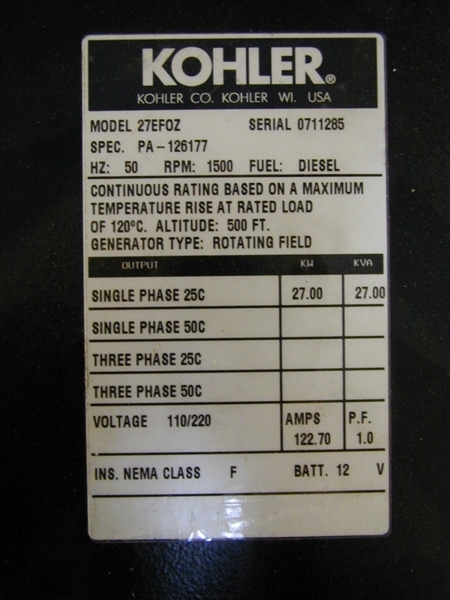 The above information can be located on the generator rating plate as seen below.